FIBO Price Alert Indicator is very simple but powerful indicator. This is a very well-known indicator that allows you to see and exploit Fibonacci's retracements. This indicator can be used in any currency pairs and on any time frame, but preferably on higher time frames. 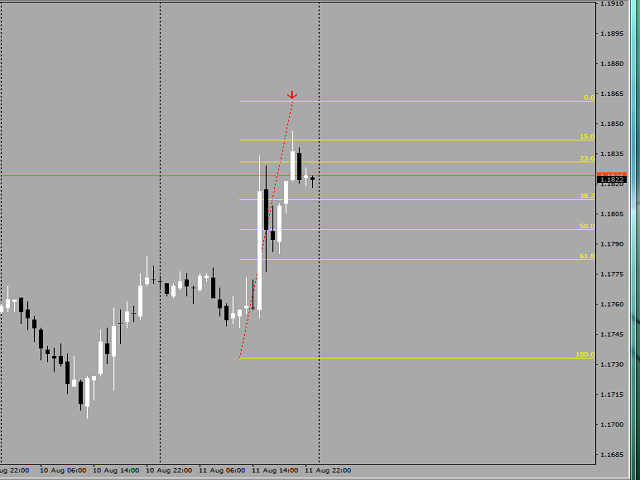 Moreover, it's relatively easy to trade with FIBO Price Alert Indicator. BUY Signal: When the price crosses over the virtual line. SELL Signal: When the price crosses under the virtual line. Signal triggered - at close bar or tick by tick. Depth bars - number of bars for calculating FIBO signals. Deviation - max price deviation. Virtual line - virtual line value. Turn on Alert - alert on or off. Enable Alert 1 - alert when the price touch line 0.0 or 23.6 or 38.2 or 50.0. CHANGE IN: when the price crossing the Virtual Line. 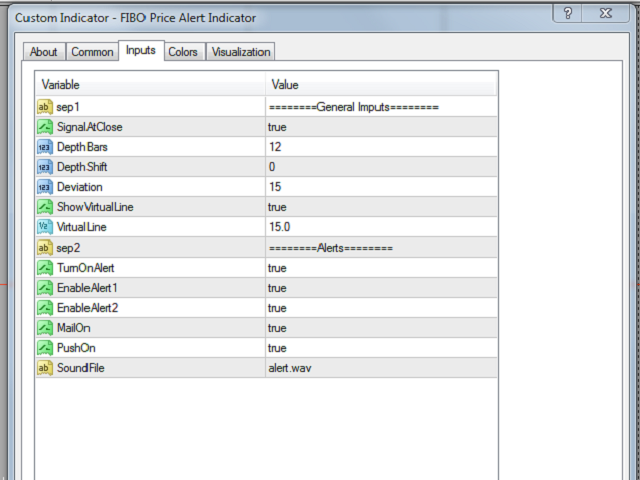 Enable Alert 2 - alert when the price cross over or cross under the virtual line. CHANGE IN: when the Arrow FIBO crossOver or crossUnder the value 100. Mail On - mail alert. Push On - push alert. Sound File - sound alert. In this version (v 1.30) in the inputs panel has been added the variable "Show Virtual Line", it allows you to see the virtual line in the graph. Alert 1 - when the price crossing the Virtual Line. 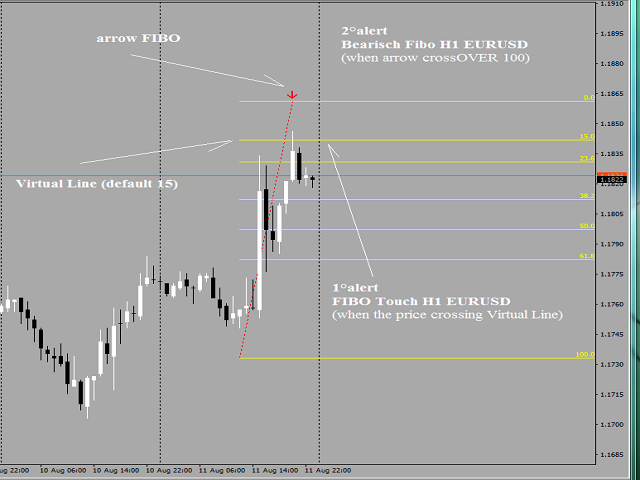 Alert 2 - when the Arrow FIBO crossOver or crossUnder the value 100.